We all seem to want what we don't have. Those with curls want straight hair, and those with straight hair just want pretty curls. It's not so easy, though: You spend all that time and energy only to have your hair frizz and fro up like a clown's or fall after just an hour or two. Sure, there are bazillions of tutorials available, but they can be involved and require tools and products you don't have. Never mind all that: We're here with some truly useful, practical, real-world tips that will help you curl your hair like a professional—and keep the look. The size of the barrel on your curling iron will make a big difference in the results. As you might expect, small-diameter curling irons (1 inch or smaller) create small curls. 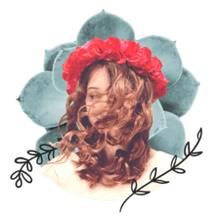 Obviously, small curls take longer because you must wind less hair at a time on the small barrel; winding hair over itself creates problems because the last hair to get on there is exposed to less heat and therefore curls less. Larger curling irons (1.5 inches or larger) create larger curls that are more like waves. The length of your hair in relation to the size of the curling iron makes a big difference in the amount of curl you achieve, too. The more times you can wrap your hair around the barrel without overlapping, the more curl you will achieve. Curling irons come in a variety of materials including ceramic, tourmaline, gold, titanium, and chrome. Ceramic and tourmaline irons are the best choice. You'll get even heat distribution, frizz control, and less damage to your hair than with other choices. Gold and titanium irons get super-hot and can deliver a decent curl, but they aren't a great choice for heat and frizz protection. Chrome irons aren't recommended, even though they're inexpensive and available at just about any drug store. Curls tend to fall and frizz, and your hair may become fragile after using a chrome iron. If you can't get a curl to hold, you might be missing this all-important step: preparation. Using a mousse, gel, or curl-enhancing cream prior to drying your hair can really help it hold curl. For even better results, curl your hair on the second or third day after shampooing. Use a curl-setting spray (or hairspray) on each section before curling your hair to help set your curl and protect your hair from getting burned. Clip all of your dried hair up except for a 2-inch section at the base of your neck. This will allow you to curl small sections at a time, working your way up the head. Comb through the section of hair, and mist it with a setting spray or hairspray. Wrap the section of hair around the barrel of a large curling iron. Hold the curl for 10 to 20 seconds, release it, and then clip it in place with a bobby pin or a double-prong hair clip. Repeat, section by section, until all your hair is curled. Allow your curls to cool completely before unclipping them. For a beachy look, use your fingers to style. For a soft romantic look, brush curls out gently. Clip hair up, except for the section you're working in (start at the base of the neck). Smaller sections will create more curl. Comb through hair, spray with hairspray, and wrap the hair around the barrel of the curling iron. Hold each curl for 10 to 20 seconds, then release. Clip each curl into place with a bobby pin or a double-prong clip. Release when cool, and style by separating the curls with your fingers, a brush, or a wide-tooth comb. Be sure hair is completely dry before curling it. Wet or damp hair won't hold a curl well, and using heat on it can cause serious damage. Clip formed curls into place with bobby pins or double-prong clips. These are incredibly versatile, inexpensive, and easy to use. Clipping curls into place while cooling will keep the curl out of your way while you curl the remainder of your hair. Plus, it allows the curl to set in place. Allow curls to cool fully before styling them. Style with the right tools for your desired results. Wide-tooth combs and finger-styling result in a piecey, textured look. Brushing will result in softer curls and waves. Try alternating the direction in which you wrap the curls on the curling iron. Wrapping the curls forward or backward can give you a completely different look. Instead of curling your hair using the clip on the curling iron, try wrapping your hair around the curling iron without the clip. The resulting curls will look more natural. Practice makes perfect. If you don't get the exact look you're seeking, don't give up. 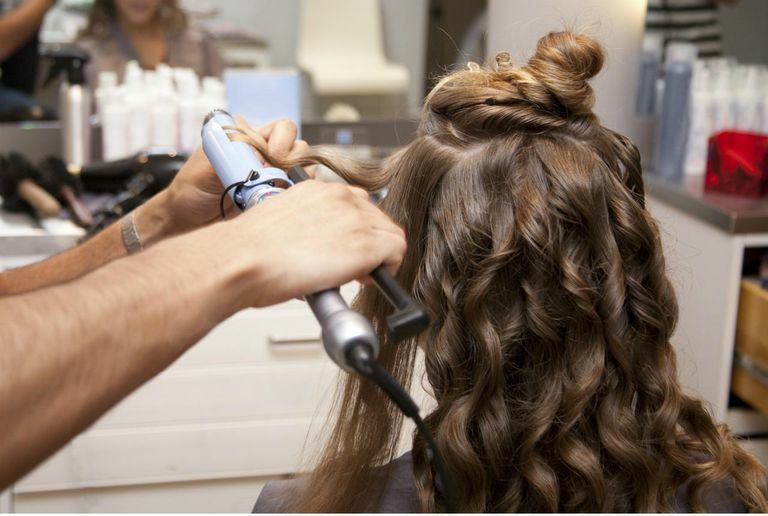 Getting beautiful curls takes practice, as any professional can attest.